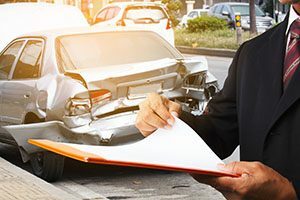 Many people choose to hire an accident lawyer after they’ve been involved in a car crash that results in personal injury and monetary losses. Refusal to pay (which can but doesn’t necessarily stem from a disputed liability) or refusal to pay a fair amount is when an insurance company outright won’t make a fair settlement offer—or any offer at all. Because of possible situations such as statutes of limitations (which can vary by state), it’s important to hire a personal injury attorney and get the claims process going as quickly as possible; however, you don’t want to hire the first attorney for whom you see a billboard on the highway. NOTE: Some states’ State Bar websites have directories of attorneys organized by their areas of practice. Make sure the attorney you choose has represented individuals who’ve suffered personal injuries specifically related to car crashes. Perhaps nothing spreads reputation more powerfully than word of mouth, and in this day and age you can go beyond just talking to people about their own personal injury attorney experiences to actually researching these attorneys yourself. Simply hop online, search the attorneys’ names, and see what others have to say about him or her. Here, you’ll want to consider a couple of factors. First, take a look at the attorney’s current caseload. While it’s not impossible for a skilled lawyer to juggle multiple cases at one time (actually, it’s pretty normal), you probably don’t want to put your trust in the hands of an attorney whose focus is spread uncomfortably thin. Second, consider how the attorney treats you and your case. Sure, you probably won’t communicate every day, but does your lawyer regularly update you on your claim’s status? Make him- or herself available to answer your questions? Return your phone calls in a timely fashion? You can start gauging your comfort level from the beginning (for example, how do you feel about the attorney’s success rate with car accident cases?) and continue beyond the time you hire him or her. Sometimes, evaluating your comfort level can prevent you from hiring a personal injury attorney who isn’t well suited for your case; other times, it might convince you it’s time to change course with a new attorney. For more information on knowing when to hire a personal injury attorney after a car accident, please visit DMV.org.